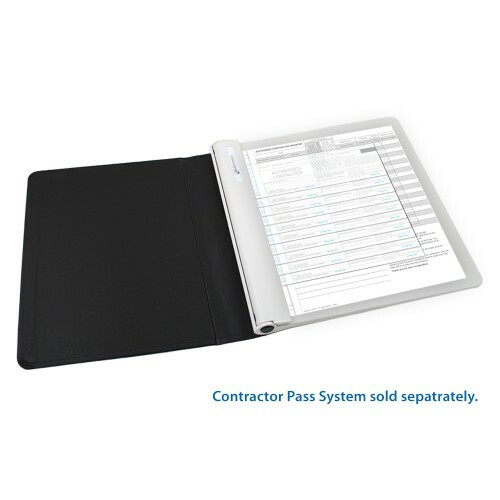 A black, synthetic leather Standard Contractor Pass Display Book designed to be used in conjunction with Kalamazoo's Standard Contractor paper pass system. Kalamazoo has been producing binders and pass display books for over 40 years. 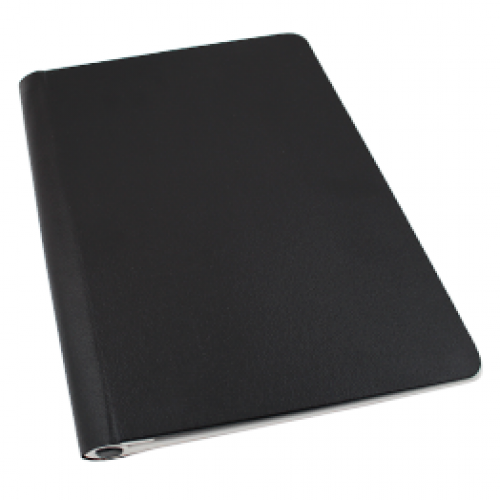 Designed to fit the wider format Standard Contractor Passes, the book is convenient for storing on your front desk or reception area, ideal for easy access when visitors and/or contractors arrive.